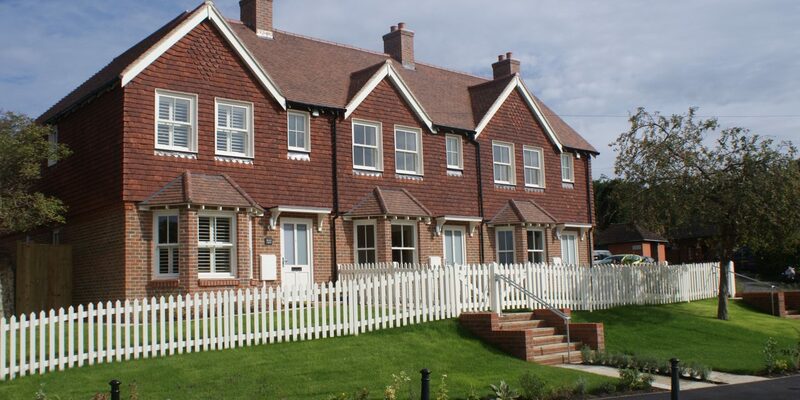 A project to build new homes on the site of a burnt-out pub in the conservation area of a Kent village has been highlighted nationally as a shining example of how developers, planners and residents can work together. Maidstone-based Wealden Homes built three terraced houses on the derelict site of the former Wheatsheaf pub in Kemsing, near Sevenoaks, after detailed consultations with Sevenoaks District Council and Kemsing Parish Council who liaised with nearby residents. The houses were released last year and are now all sold. Following the success of the scheme, it was chosen as a case study for a Local Government Association (LGA) publication showcasing partnership approaches to positive planning. ‘Planning Positively Through Partnership’ was launched jointly by the casino pokies online LGA, the Home Builders’ Federation (HBF) and the British Property Foundation (BPF). The Wealden Homes development site featured alongside other case studies including major redevelopment schemes such as MediaCityUK at Salford Quays – the new home of the BBC- and other prestigious examples. 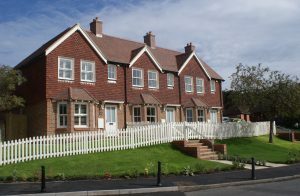 Wealden Homes’ Land and Planning Director, Graham Norton, said the Kemsing site was an example of both the company’s attention to detail and how it listened to the wishes of the planning authority, neighbours and the buying market. “While the scheme was well received, some of the community wanted the pub to be re-built even though that would have been uneconomical and another pub existed on the opposite side of the High Street. In short, the village could only support one pub, and redevelopment for housing was the only solution. The parish council was especially keen to see the site redeveloped as it was an eyesore in the centre of the village. This support was invaluable in assisting the planning application to a fairly rapid approval,” Graham explained. 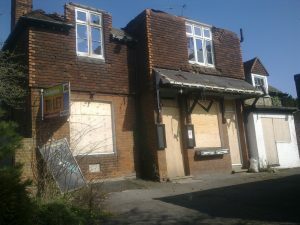 Wealden Homes bought the former pub, which was gutted by fire in June 2011, on a speculative basis with no planning permission in place. The company then had pre-planning application meetings with Sevenoaks District Council, whose conservation officer and development control officer also gave helpful and detailed advice on the proposal.